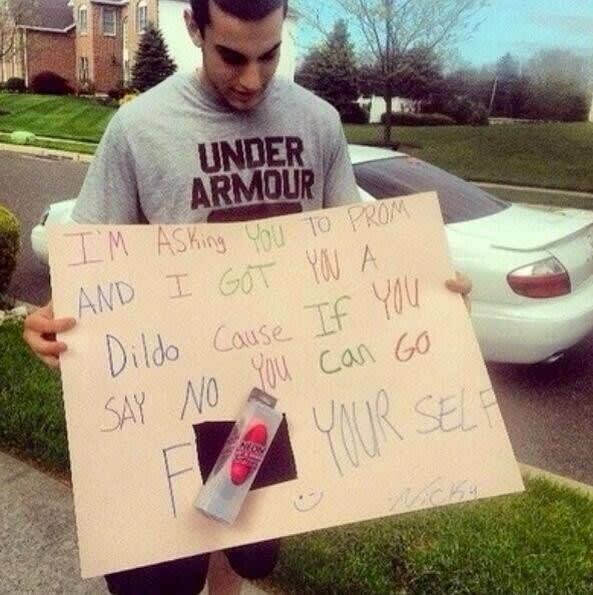 These people get major props for finding the funniest/cutest ways to ask their date to prom. 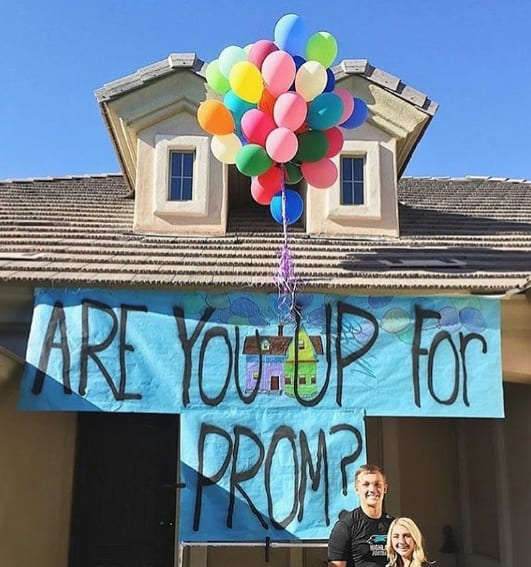 Which promposal is your favorite? 1. 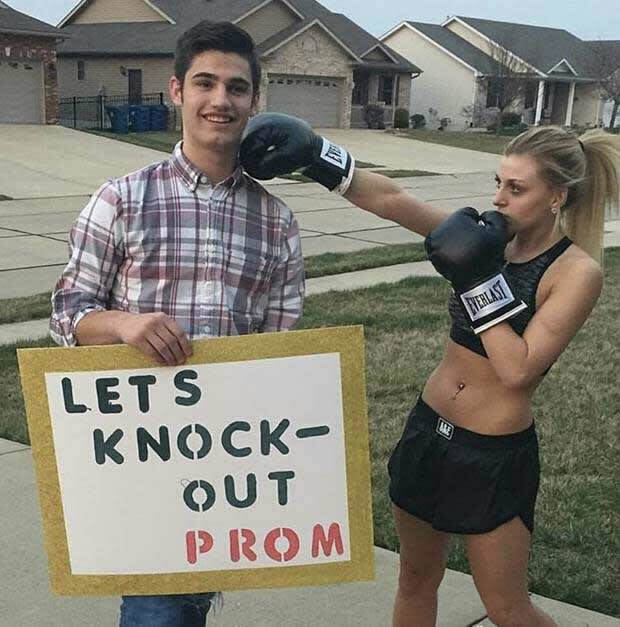 Better make sure you're on time when picking her up, dude. You don't wanna catch a right hook to the jaw for being late. 2. 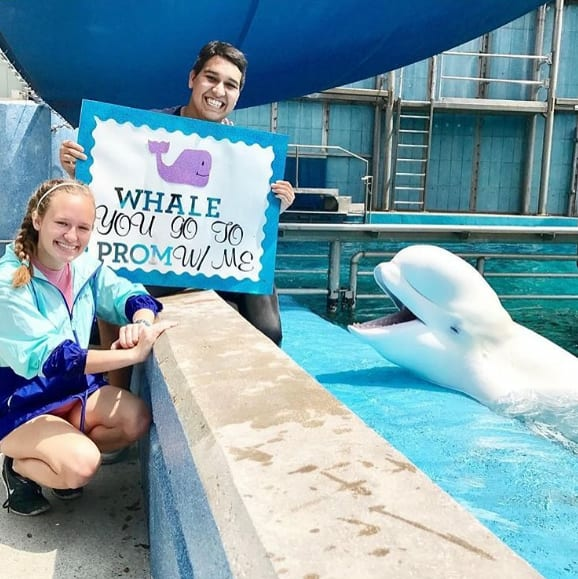 I can't tell who is more excited here, the girl, the guy, or the whale. 3. Yeah, ladies, he's a big time romantic. Can't you tell? 4. 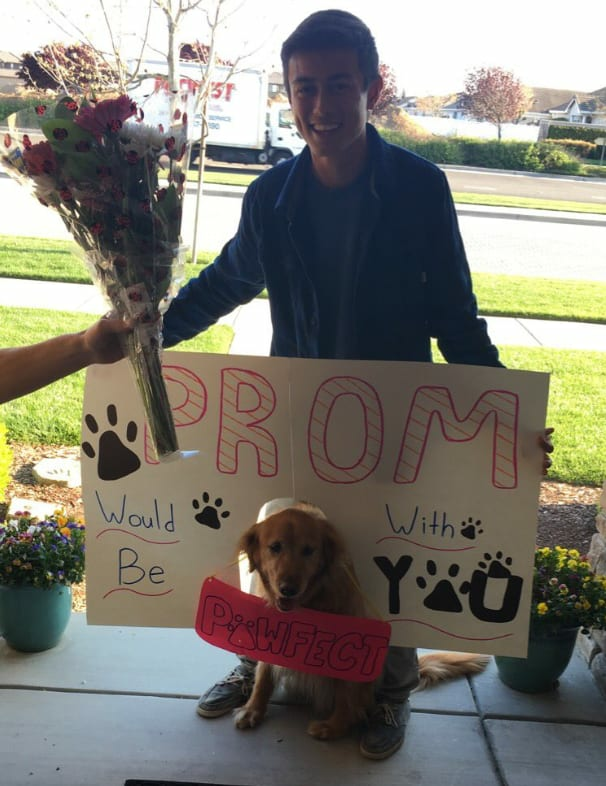 Well, how are you supposed to say no to such an adorable up that's "pawfect"? 5. 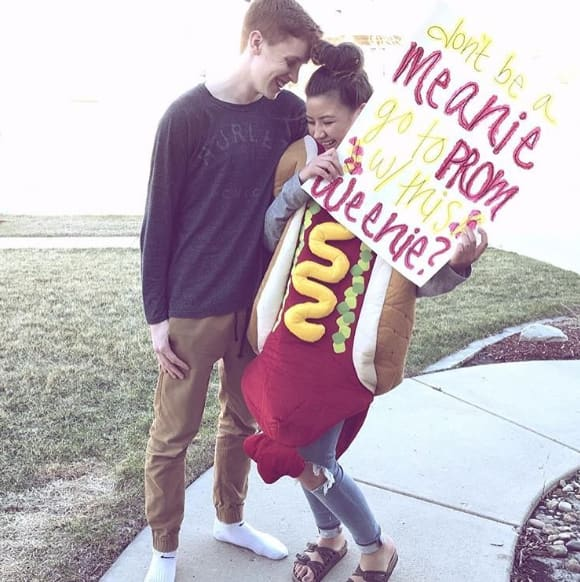 There are only so many reasons for renting a hot dog costume, this seems like a pretty good one. 6. 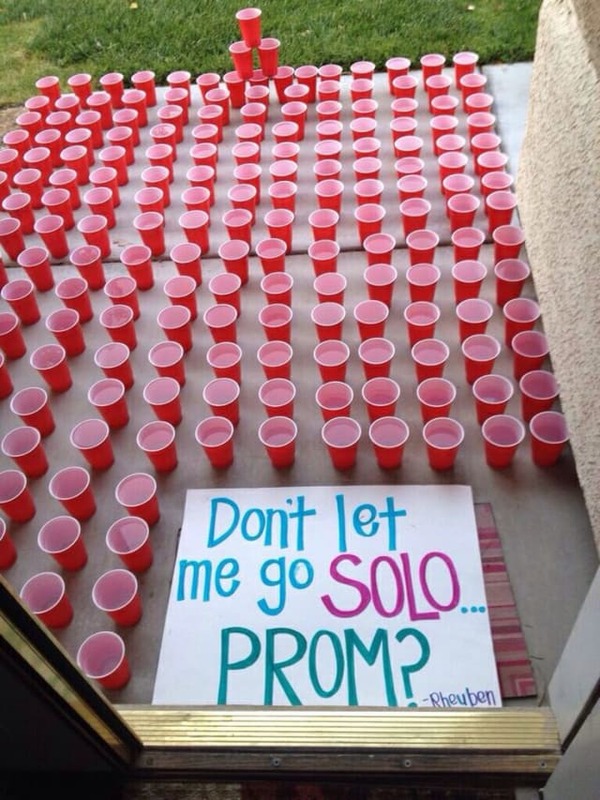 Considering the ridiculous amount of effort put into setting up all those solo cups, I hope he/she said yes! 7. 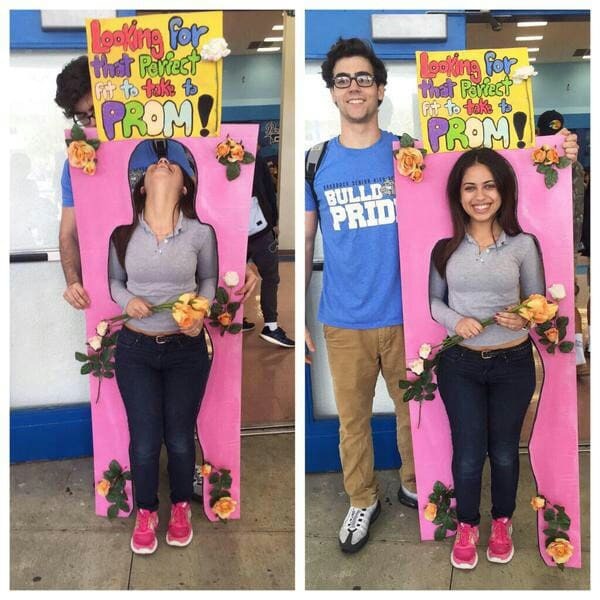 Do you think she had any idea what he was up to when asked her to lie down on a giant poster-board so he could trace her body outline? 8. 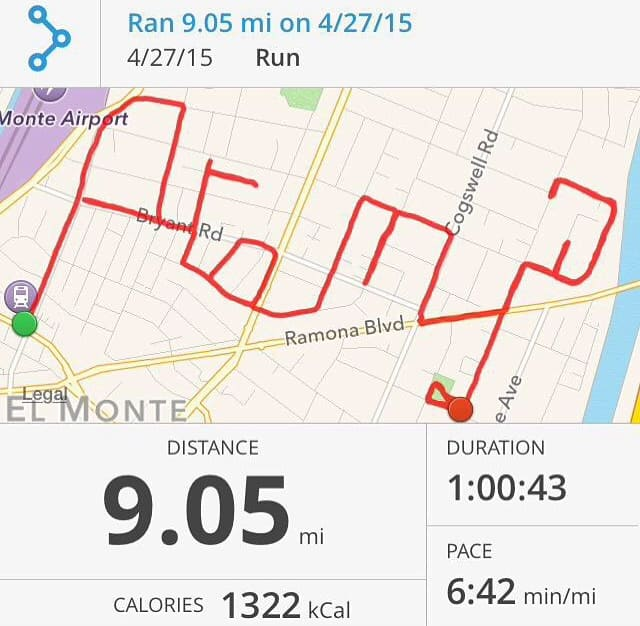 Getting a workout in and finding a creative way to ask a date to prom gets major props. 9. Well, this is a little morbid. Clever, but morbid. 10. C'mon, guy, couldn't you have gone the extra step and dressed up as the cute old man? 11. 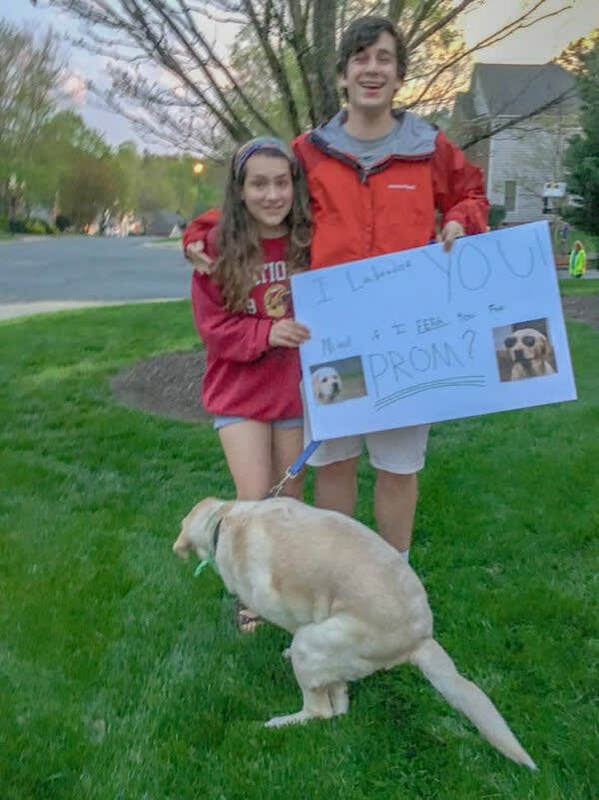 Not sure what I like best about this photo, the pic of the dog wearing shades or that the dog found decided to pop a squat in the middle of the photo. 12. 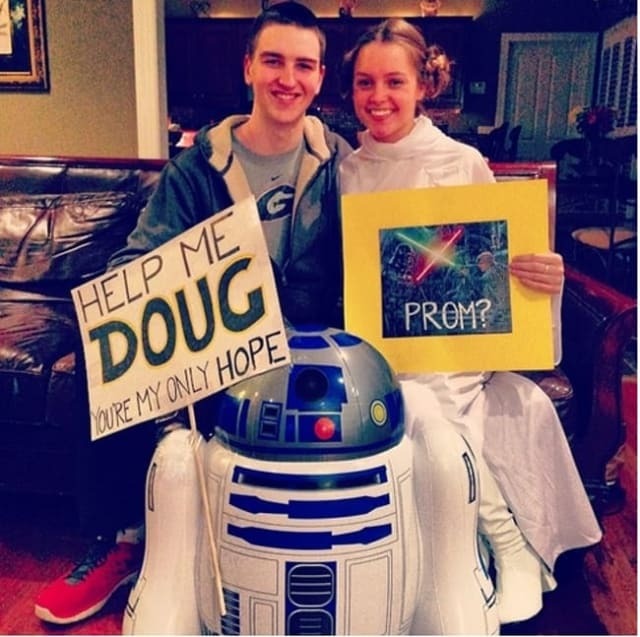 The Force is strong with this promposal. 13. Well this is really weird. 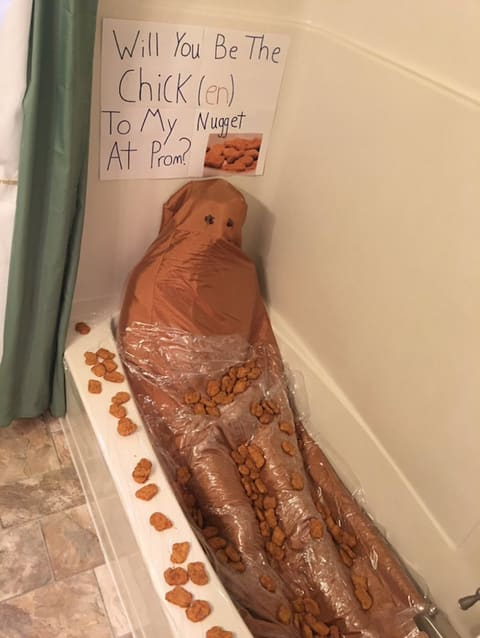 Let's hope the person being asked is really into chicken nuggets, especially giant ones with eyes. 14. 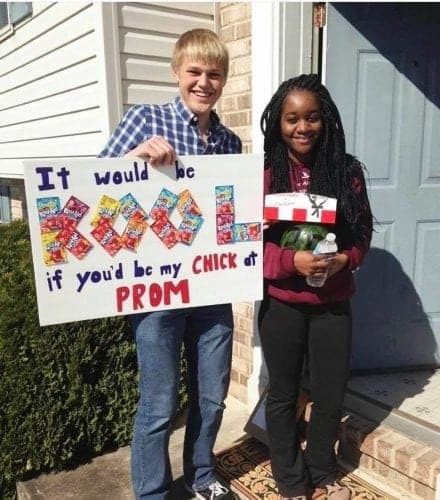 She's smiling, but is it because of the guy asking or is she simply dumbfounded by the blatant racism? 15. 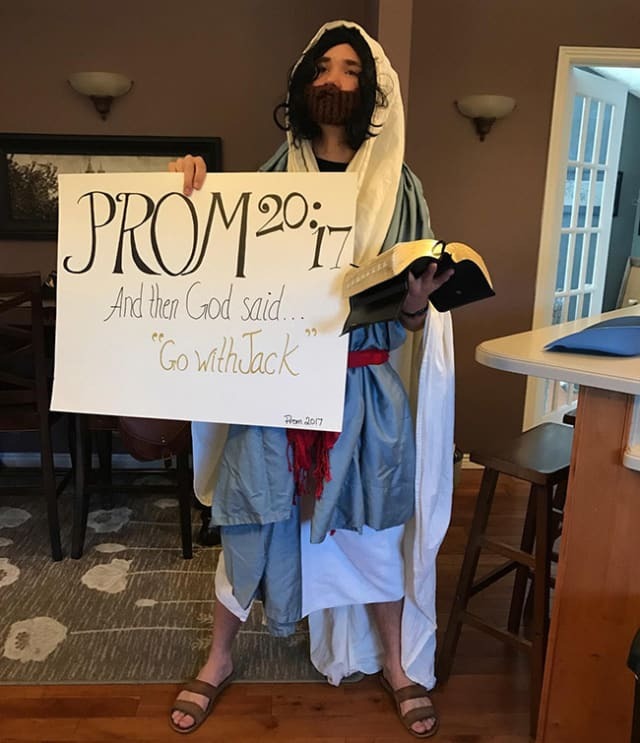 Do you really want to test God's patience and say no to prom with Jack. 16. 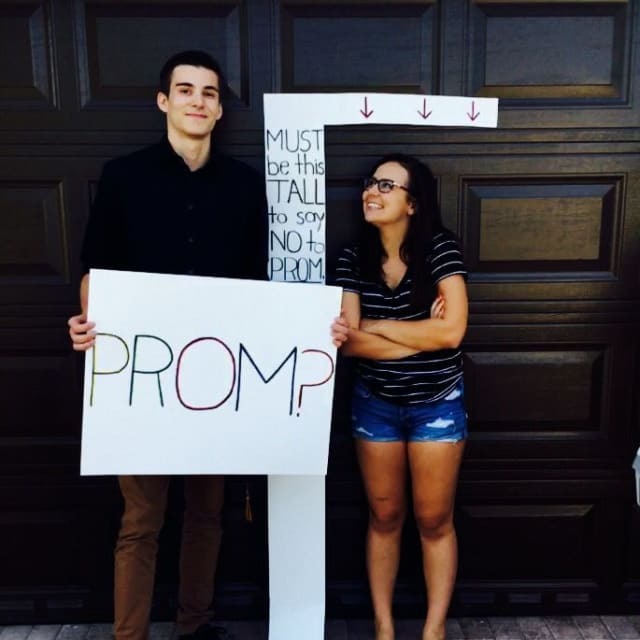 Since she's a little short, does this mean she's not going to prom with the guy? 17. 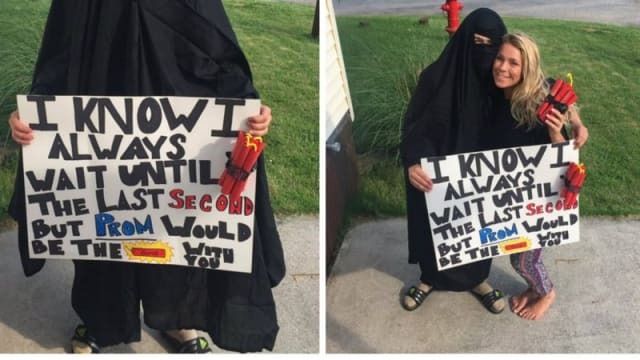 Typically terrorism and playing into negative Middle-Eastern stereotypes don't go with prom season, but this couple is trying to make it work. 18. I'm 'lovin' it" that the guy couldn't stop eating chicken McNuggets for two seconds to turn and smile for the photo. 19. 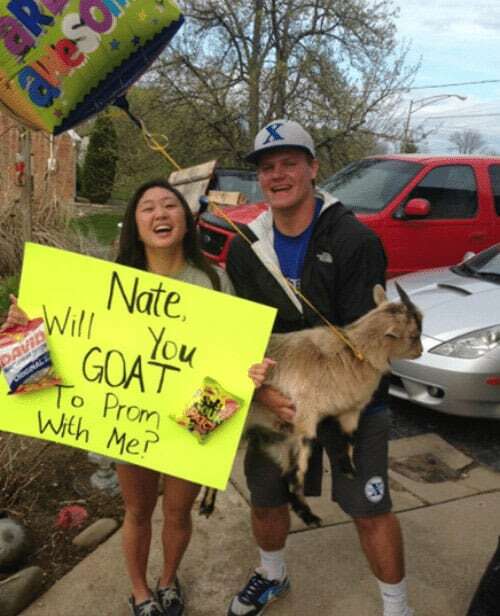 Remember kids, a random goat is always a nice addition to a promposal. 20. 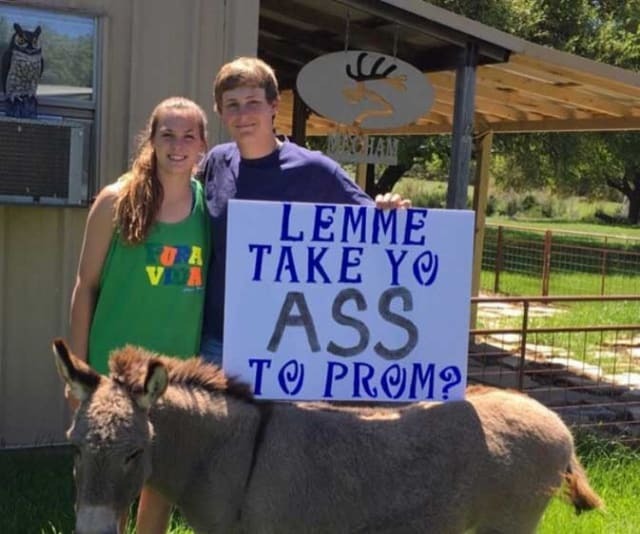 Of course, if you're short on a goat you can always get a donkey and make a bad pun to ask your date to prom.